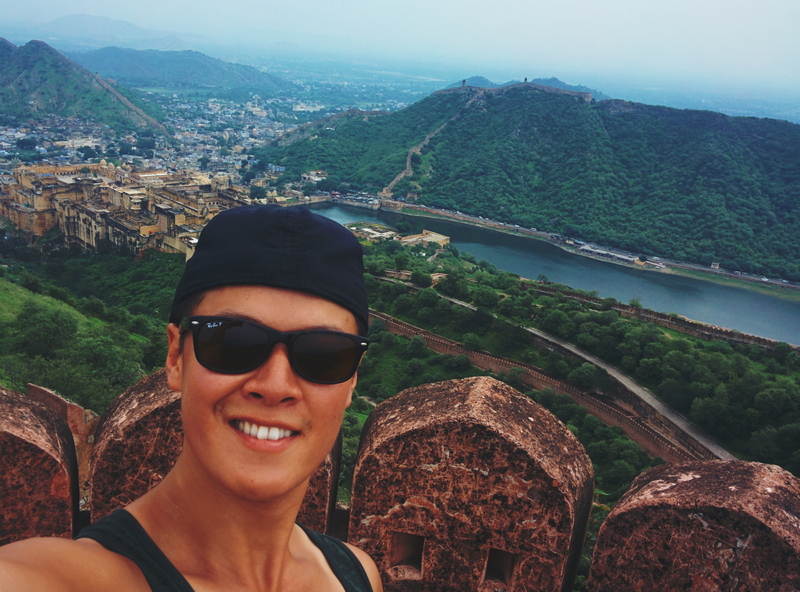 After waking up at 4:30am, riding a one hour taxi (overpriced fakk), catching 2 delayed flights, being escorted to my gate, I finally arrive in the city of Jaipur, the capital of the desert province of Rajasthan. Jaipur was founded by warrior/astrologer/Maharajah Jai Singh II in the 18th century. The city is pretty modern with its share of amenities and services. It is well connected by plane/bus/train/cattle trail, and is the first city in India to have a running monorail (didn’t get to ride it unfortunately). The old city is where most of the action is. Many (and I mean many) shop owners invite, coerce, or even grab you to come to their shop. 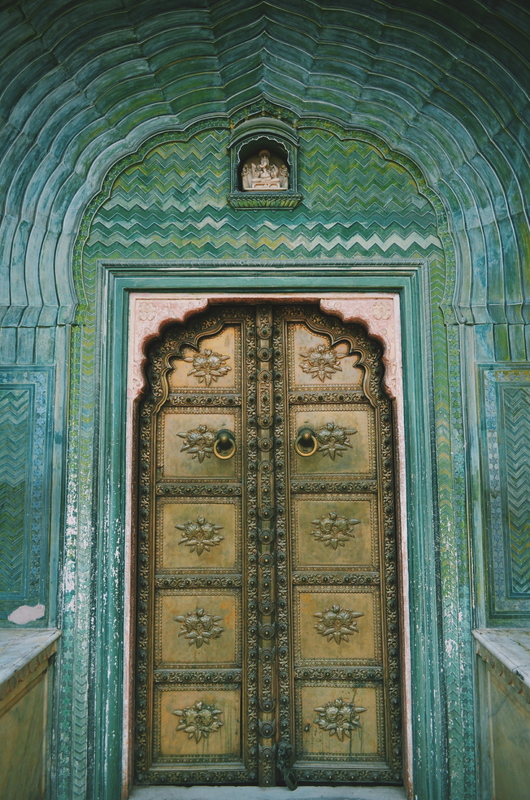 There are a number of bazaars within the walls of the old city, aka the Pink City, each specializing in a trade like textiles, leathers, produce, or jewelry. Take your pick you could probably find what you’re looking for here. I found it a bit overwhelming here. If you’re not looking to buy anything, but maybe just browse the bazaars to get a feel of the old city and see the antiquity of the town, you will no doubt be, what I can only describe as harassed, into looking at shops. It’s a mental exercise almost, and at the end of the day I was exhausted. However I did leave with a new lapis bracelet! 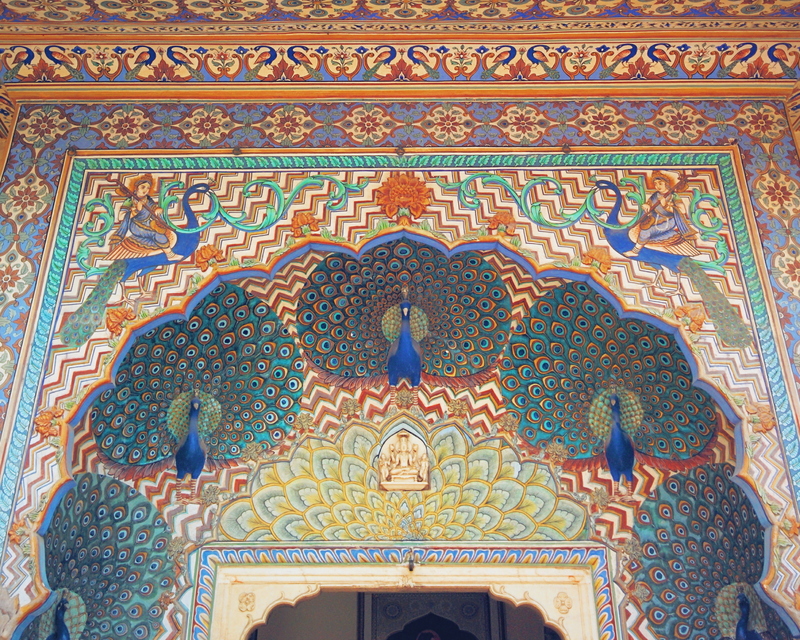 Rajasthan is the “land of kings”. Basically small kingdoms ruled by Rajputs or Maharajahs of varying power occupied much of this part of India. Understandably, each had to defend their land and build a stately, yet strategically placed fort. 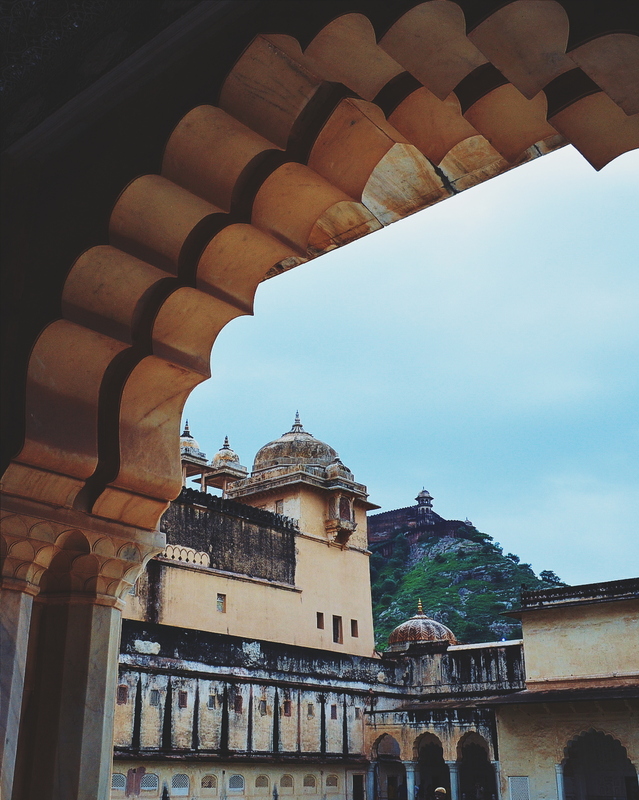 For Jaipur, this is the Amber fort (pronounced Amer). A 30-40 minute tuktuk ride will get you there and you begin a hike up to the main palace complex where you can explore the inside of the palace. 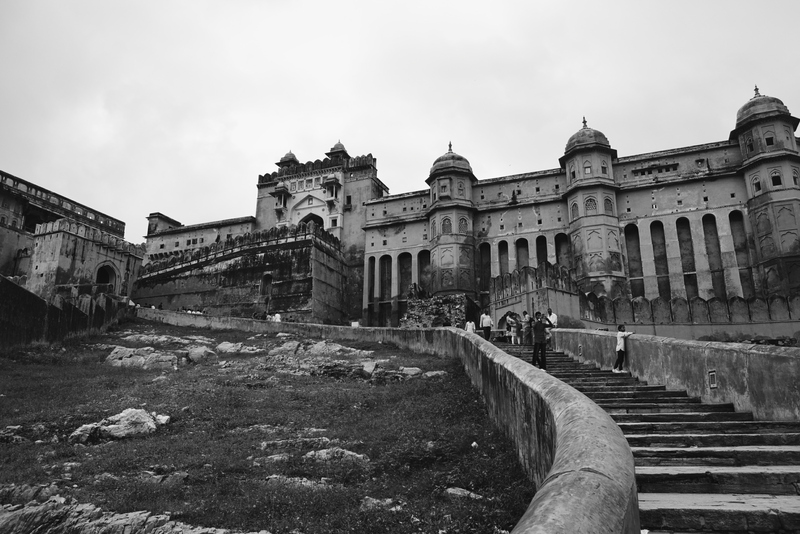 Ever present here is the even more imposing Jaigarh Fort, which has steep stairs going further up the mountain that Amber fort is situated. There is also a great Wall of China-esque rampart that you can climb. FYI a combination ticket that you can purchase at the City Palace in the old city gets you admission to a couple of these attractions. 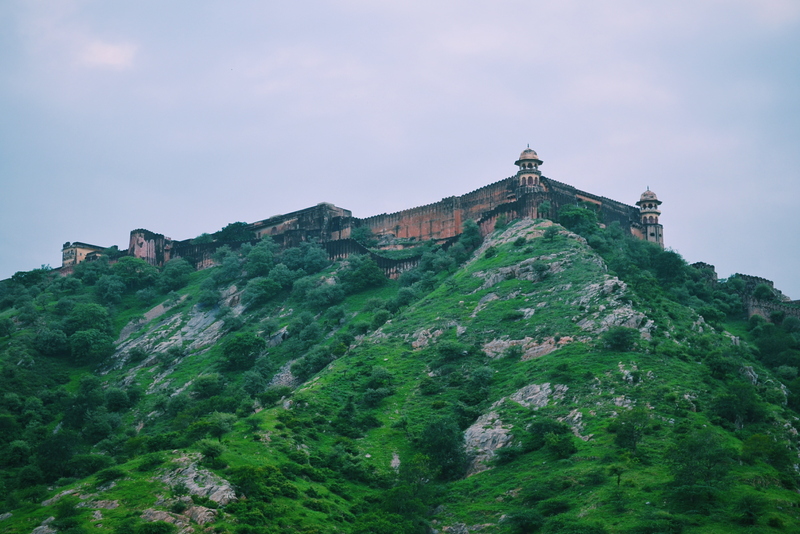 If you’re really up for some exercise, a short walk from Ajmeri gate of the Southern wall of the Old City is the beginning of the steep hike up to Nahargarh Fort. The palace here is humble, but there’s a nice terraced cafe up at the top where you can reward your hard work with a beer (and I did!). I found the locals here to be very friendly. Aside from those shop owners and shady tuktuk drivers, everyone I spoke with was very helpful, and eager to strike up a conversation. This was a big plus for me as a solo traveler. I’m new to solo travel having only done 2.5 weeks in Iceland solo. But really I was only by myself for a few of those days. I’m finding it really tough to be a solo traveler in India. You have to be a very hardy personality to be constantly vigilant of touts, scams, and other such things. These are things I just didn’t have to deal with in Iceland. I consider myself quite comfortable with my own company, but dealing with the people who try to make a quick buck off tourists gets extremely exhausting. I wonder if this is something I’d be experiencing if I were in any other country. I wonder if this is partly because it is low season and these shop owners are getting desperate for business. I’ve traveled to parts of SEA during low season and found that people are more relaxed, more pleasant, and more real without the constant stream of tourists. It seemed like they could put their “hard selling” attitude of high season aside and just take a break. Here I’m finding the opposite is true. Many owners are using the desperation argument of low season to get me to spend a few rupees. I almost with there was a crowd of Caucasian tourists that could distract these people while I slip quietly by for my walks haha. But I guess you just buck up and move on. My last day here, and I’m scheduled to catch a train at 11:45pm. 12 hours. The night before, a new guy checks in (there aren’t many guests at my hostel). Friendly guy from Calcutta, who’s bought a Royal Enfield and is riding southward on the west side of the country. Cool! Also served in the Indian army. At night, a few of us ride out to dinner, and after he offers to drive me to the station. Sometimes you’re pleasantly surprised by the kindness fellow travelers will show you and it’s those moments that you’ll try to remember when you come home. Next stop, and the portion I’ve been looking forward to the most, I head to the small fort city of Jaisalmer. It’s in the middle of the desert and the last big city before the Pakistan border.